In a tweet on Friday, he mentioned “additional large-scale sanctions” by the US Treasury that had been added to already existing restrictions. 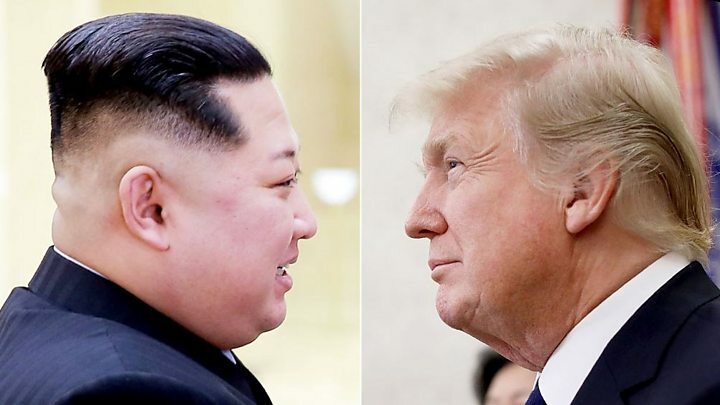 It is believed he was referring to the treasury’s move on Thursday to blacklist two China-based shipping companies for reportedly violating sanctions against North Korea. Pyongyang has made no public comment. A generous move ahead of China talks? On the face of it this does look like a pretty explicit attempt to reach out to Kim Jong-un, following the two leaders’ recent failed summit. In emphasising how much Mr Trump “likes” Mr Kim, the White House statement appears designed to rekindle their relationship amid concerns about Pyongyang’s plans for North Korea’s nuclear programme. But it is easy to argue that it also lessens the authority of those in Team Trump. Only to be told 24 hours later by his president that in some cases they can. 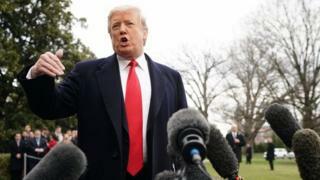 The additional measures had been taken against two Chinese shipping firms, and US Treasury Secretary Steve Mnuchin is expected to travel to Beijing for crucial trade talks next week. Perhaps China will see this as a generous move ahead of those discussions. Or maybe it will be taken as evidence that in this White House a deal only really matters when it has been agreed with the president himself.